We all have our own favorites in anime that we love. But sometimes, other characters shall be given a big break. Right? In place of Ichigo Hoshimiya who was the protagonist in the first two seasons (she will still be in the story as a supporting character), the new season featured her underclass girl Akari Ozora with her classmates. I somehow felt sad but I was also excited since other angles of my favorite game will be featured. 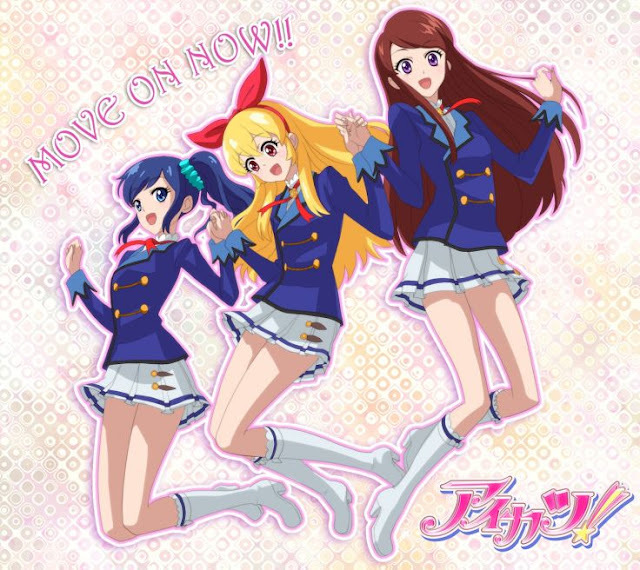 The series takes place at Starlight Academy a prestigious school with both middle and high branches, where girls train to become idols and take part in various auditions. such as live, fashion show, and drama. To participate in these auditions, players use Aikatsu cards, special cards which contain digitized dresses and accessories from various manufacturers that are used in their auditions. How well they succeed is often dependent on choosing the right combination of cards. 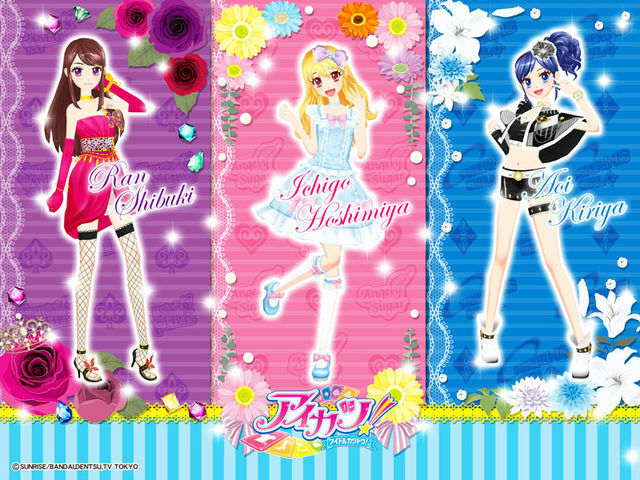 The video games cast players in the role of a new student, who must train to become an idol and reach the top. 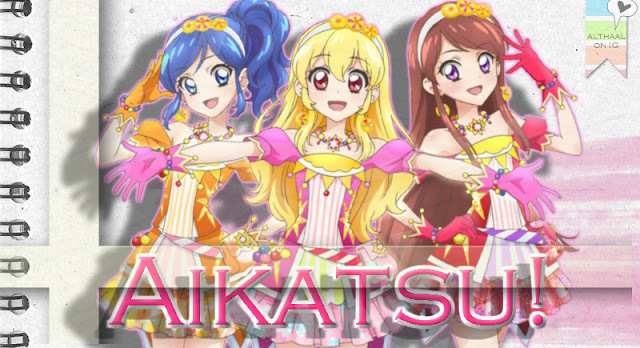 Aikatsu Cards are cards that contain digitised clothes which are worn by idols during performances and auditions. They are divided into four categories: Tops, Bottoms, Shoes and Accessories, with some cards, such as one piece dresses, eliminating the need for others. The clothes come from various types of brands and have varying degrees of rarity. Although most clothes come in specific coordinations, players are also able to mix and match different cards to find a good combination. Although it came from a game, it obviously hit the small screen! I do hope there will be a season 5, though.